Red-Out W-6 Prop is a reagent for the removal of stubborn color spots that may yield to prolonged treatments where bleaches cannot be used. Red-Out W-6 Prop is a dye solvent on the wet side and is effective on: color residues, dyes of various kinds, ink residues, wine spots, colored medicines, etc. pH of use dilution is 6.0-7.0. 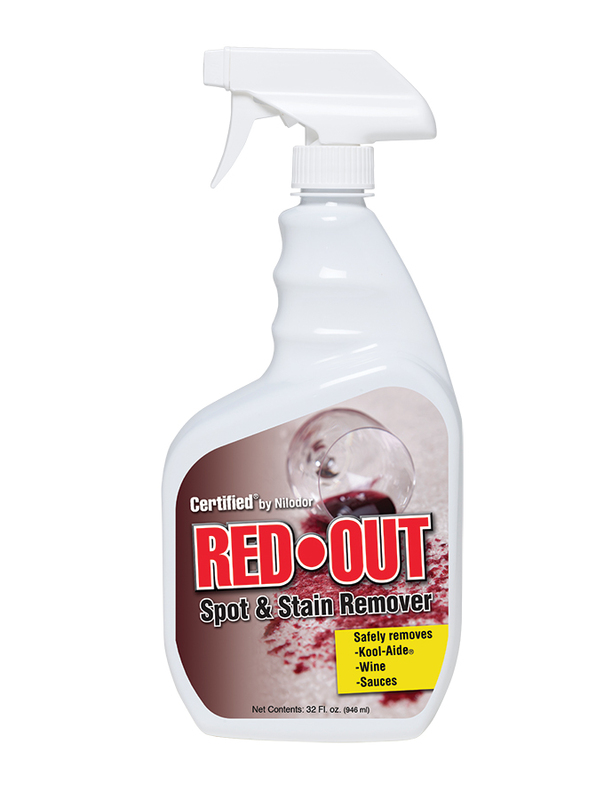 Removes furniture leg stains, Kool-Aid, old wine spots, etc.